When the mode of passion is prominent, the modes of goodness and ignorance are defeated. When the mode of goodness is prominent, passion and ignorance are defeated. And when the mode of ignorance is prominent, passion and goodness are defeated. This competition is always going on. Therefore, one who is actually intent on advancing in Krishna consciousness has to transcend these three modes. The prominence of some certain mode of nature is manifested in one’s dealings, in his activities, in eating, etc. All this will be explained in later chapters. 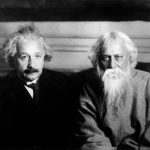 But if one wants, he can develop, by practice, the mode of goodness and thus defeat the modes of ignorance and passion. One can similarly develop the mode of passion and defeat goodness and ignorance. Or one can develop the mode of ignorance and defeat goodness and passion. 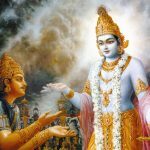 Although there are these three modes of material nature, if one is determined he can be blessed by the mode of goodness, and by transcending the mode of goodness he can be situated in pure goodness, which is called the vasudeva state, a state in which one can understand the science of God. By the manifestation of particular activities, it can be understood in what mode of nature one is situated. With regards to their respective effects, how do the gunas arise? When rajas and tamas are eclipsed, sattva appears. It appears because these two become invisible. Thus, raja guna appears from the eclipse of sattva and tamas. Tamas appears from the eclipse of sattva and rajas. 14.10 Even though all the three Gunas of Sattva etc., are associated with the nature of the self conjoined with Prakrti in the form of body, yet owing to the dominance of previous Karmas and the differences in the food nourishing the body, Sattva etc., preponderate or are subdued by turn. 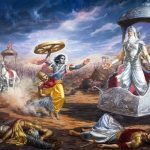 Sometimes Sattva preponderates prevailing over Rajas and Tamas; sometimes Rajas preponderates prevailing over Tamas and Sattva, and sometimes Tamas preponderates prevailing over Rajas and Sattva. He teaches that this changing preponderance of the Gunas can be inferred from the knowledge of the effects produced by them. 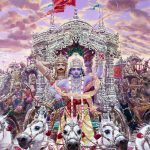 Now Lord Krishna explains the relationship and interaction between the three gunas which are sattva guna or the mode of goodness, raja guna or the mode of passion and tama guna or the mode of ignorance. All three gunas inexplicably locked to all jivas or embodied beings throughout material existence; but one of the gunas prevails over the other two due to the stringent law of karma or the reactions of committed actions performed in the previous lifetime combined with the effects from the types of food eaten such as vegetarian or animal, compounded with the degree of sinfulness committed knowingly or unknowingly determines which of the three gunas will be prevalent. The Chadogya Upanisad VI.VI.V beginning annamayam hi somya mana states: The mind is made up of the food that it eats. Srila Vedavyasa states in the Bhagavat Purana that knowledge, water, progeny, place, time, actions, origin, meditation, formula and mental tendency, are the 10 causes of growth. 14.9-10 Sattvam etc. Rajah etc. Dominates fully i.e. sets [to work]. The Sattva flourishes by overpowering the Rajas and the Tamas. 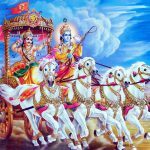 But, the Rajas [flourishes by overpowering] both the Sattva and the Tamas; and the Tamas [does so by overpowering] both the Sattva and the Rajas. That has been stated : ‘The Strands augment by overpowering each other’. rajaḥ — the mode of passion; tamaḥ — the mode of ignorance; ca — also; abhibhūya — surpassing; sattvam — the mode of goodness; bhavati — becomes prominent; bhārata — O son of Bharata; rajaḥ — the mode of passion; sattvam — the mode of goodness; tamaḥ — the mode of ignorance; ca — also; eva — like that; tamaḥ — the mode of ignorance; sattvam — the mode of goodness; rajaḥ — the mode of passion; tathā — thus.